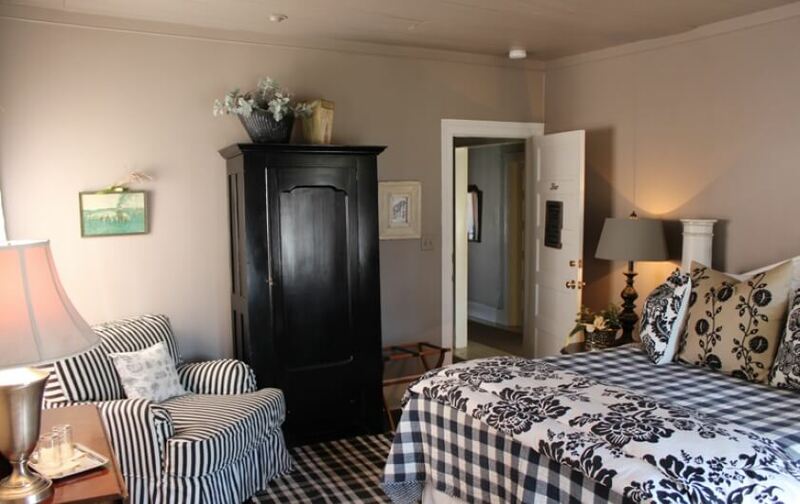 There is nothing elementary about the style of our premium Queen bedroom. 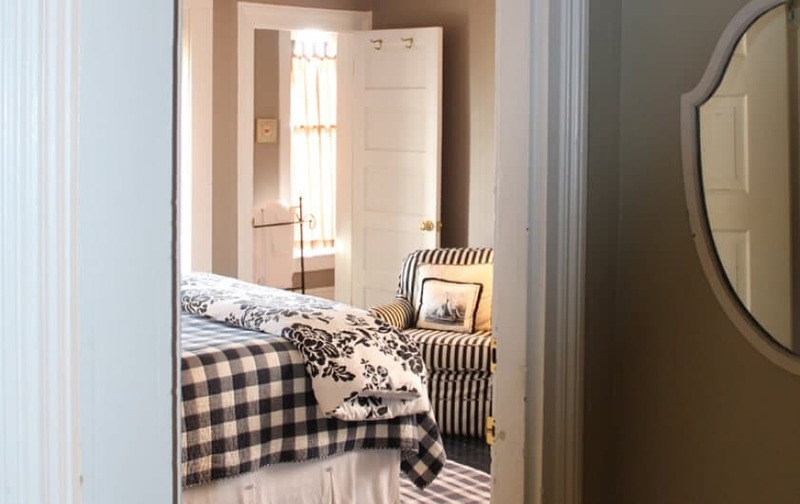 Decked out in black and white accents, our refined schoolhouse room will earn straight A’s during your stay for beauty, comfort, and style. Other Virginia inns can’t even come close to our personal touch. Make your way onto the semi-private balcony where you can take in the views of Hope and Glory’s flawless grounds. Enjoy the uniqueness of your private bathroom’s clawfoot tub with shower, invigorate your senses with Gilchrist & Soames luxury toiletries, and wrap yourself in deluxe terry towels or a waffle bathrobe. Make use of the cozy reading chairs or jump into a bed of soft linens and stare up at the gorgeous headboard. We have everything you need to feel comfortable in this room including hair dryer, iron, ironing board, fan, and a flashlight. You’ll be excited to wake up and enjoy our gourmet complimentary breakfast and appreciate our staff’s attentiveness to tidying up your room. Our rates do include a complimentary gourmet breakfast. 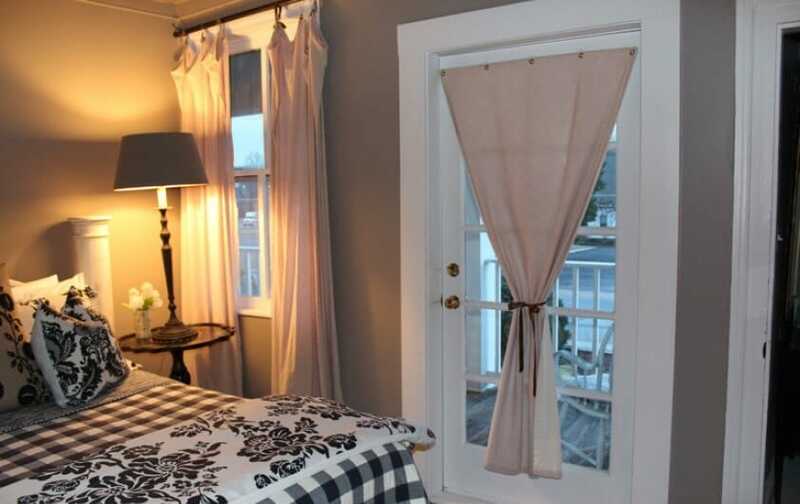 In addition, there is a 10% service charge, 5.3% Virginia tax and a 2% Irvington lodging tax. The service charge is simple worry free way for our guests to enjoy more many of our hospitality services.